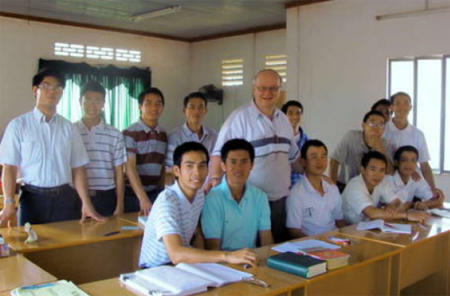 Brother Bruce Michalek has once again returned to Vietnam again this year to teach English to Franciscan Seminarians there. He is regularly sending back news and photos about his experiences, which are very colorful and interesting. Newsletter #1 - January 24, 2016 - "Franciscan Novitiate Dalat, Vietnam - Homecoming Week" Newsletter #2 - February 16, 2016 - "The Frequent Flyer Friar - Itinerant Thoughts of Thailand" Newsletter #3 - February 22, 2016 - "A Quiet Week at Home Newsletter #4 - March 1, 2016 - "They're Back!..." Newsletter #5- March 8, 2016 - "Hello Vietnam!..." Newsletter #6 - March 13, 2016 - "Hello and Goodbye!..." 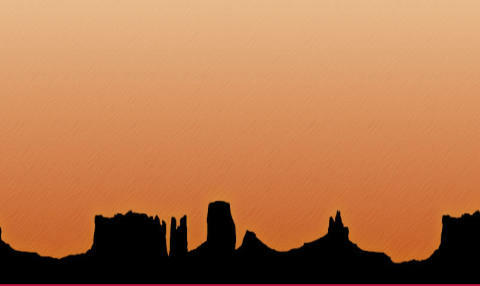 Newsletter #7 - March 20, 2016 - Palm Sunday "A Simple Gift and a Profound Lesson . . .." Newsletter #8 - March 28, 2916 - Easter - "The Triduum in a Foreign Land..." Newsletter #9 - April 3, 2016 - "Packing Up Memories..." Newsletter #10 - April 11, 2016 - "Time to Say Goodbye..."
Newsletter #1 - January 25, 2015 - "A Safe Delivery" Newsletter #2 - February 1, 2015 - "You Say To-Ma-To and I say To-Ma-To Newsletter #3 - February 8, 2015 - "Let the Good Times Roll" Newsletter #4 - February 15, 2015 - "A Land of Contrasts" Newsletter #5 - February 22, 2015 - "Tet - A Right to be Merry Newsletter #6 - March 1, 2015 - "It's the Small Things that Count" Newsletter #7 - March 8, 2015 - "On the Treadmill of Life" Newsletter #8 - March 15, 2015 - "A Day in the Week" Newsletter #9 - March 22, 2015 - "A Humble Patron" Newsletter #10 - March 29, 2015 - "Under the Radar...A Quiet Procession" Newsletter #11 - April 7, 2015 - "The High Holy Days and the River of Life..." Newsletter #12 - May 3, 2015 - "Vietnam Epilogue"